PR blunders are a popular topic whenever the end of the year rolls around. It’s like celebrity gossip for communication folks. We can’t help but gawp over company scandals and public mishaps. But in this crazy world where mayhem could strike at any moment, which is mostly caused by our own human flaws, hopefully we can glean a thing or two about what not do from these PR disasters. From the inappropriate ads to the website problems, Obamacare, and no doubt their PR team, has had a rough few months. While many circumstances was out of their control, the few that were still seemed to escape the discerning opinion of a PR pro. The main one being the President’s claim that you could keep your insurance plan if you like it, which wasn’t completely true. The moral of the story is to follow through with what you say. The old adage strikes again. The four words that no doubt have saved thousands of companies from a lot of heartache and trouble, but not for the IRS or Justine Sacco in 2013. Both succumbed to the pressures of a quick remark that led to public humiliation. For the IRS, already in the midst of a crisis regarding tax exempt status for audits, senior internal revenue service official Lois Lerner responded to a journalist, regarding a common statistic, with “I’m not good at math.” The statement instantly blew up on Twitter. This seemingly innocent statement said by the wrong person had huge repercussions for the company. Justine Sacco’s tweet echoes the same lesson to think before you speak, or in her case publish. Even though the tweet was on her personal account, the rash quip resulted in her getting fired and a marred reputation. Ironically, this wasn’t her first sarcastic and slightly disturbing tweet as BuzzFeed points out in their post 16 Tweets Justine Sacco Regrets. But it was the one to get her in trouble. PR pros should learn an additional lesson from this mishap considering Justine was the IAC public relations director. Your personal life can affect your business life so be mindful what you say or do even off the clock. 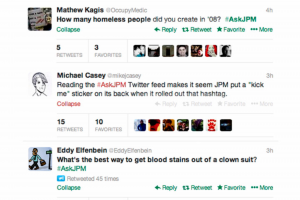 With their reputation in the gutter from fines for mortgage related abuses, JP Morgan’s attempted to remediate sour feelings toward the bank by hosting a Q&A on Twitter for those interested in going into a banking career. 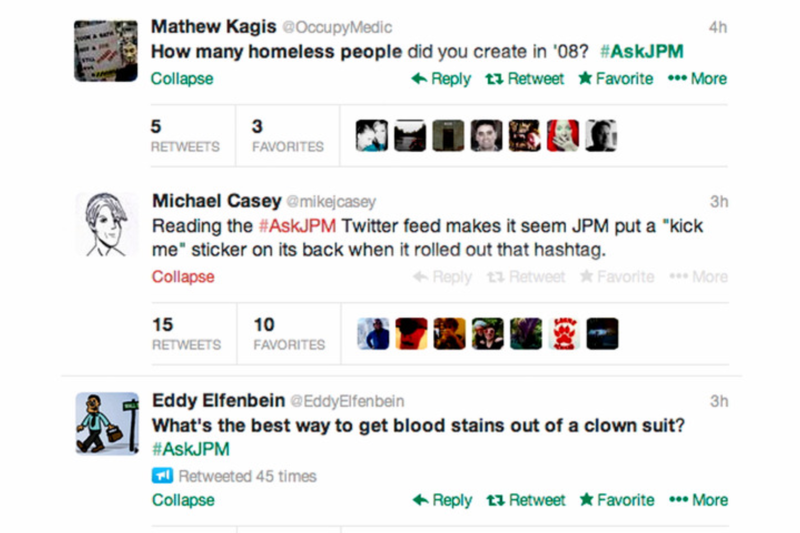 #AskJPM trended on Twitter but for all the wrong reasons. After two hours of snarky tweets, like the ones below, JP Morgan withdrew their campaign. If they had tested the market first or asked the head of corporate communications, they would have suspected the harsh reaction and dropped the idea. It seems every year Carnival has a disaster on its hands. In 2013, one of their cruise lines lost power and passengers had to endure days with overflowing toilets and rotting food. If the crisis itself wasn’t enough for the PR team to handle, the company’s CEO didn’t make an appearance, which made the public very unhappy with the cruise line. 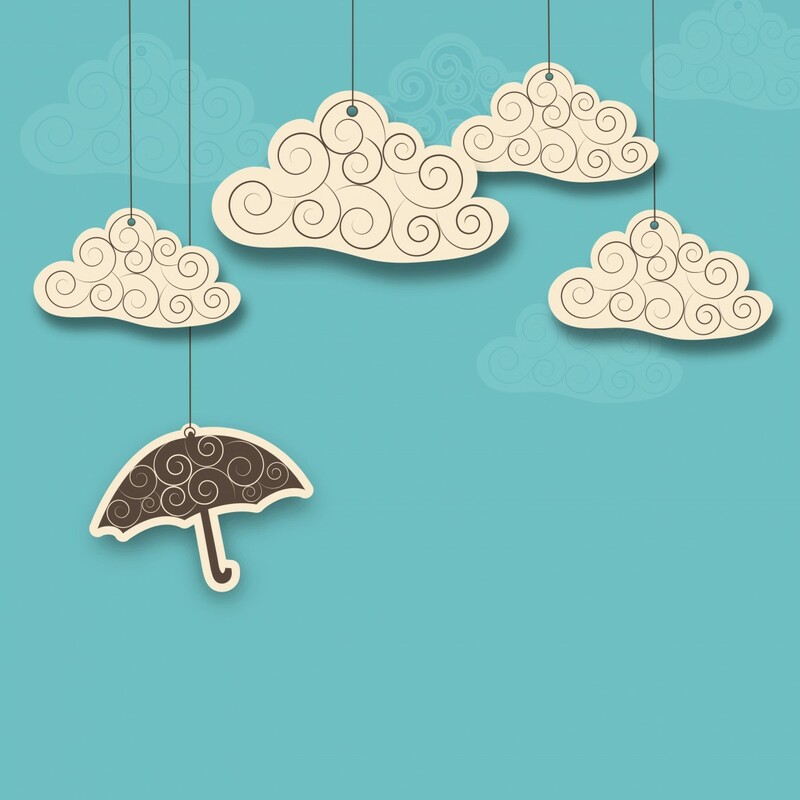 PR pros should always have a crisis plan in place for any potential disasters. And that plan should include who’s to speak and what the CEO should do.